Numerous dishes can be prepared with raw mangoes, Mango sambar with plain cooked rice and papad is a fantastic finger licking combination,it has a wonderful aroma of pure Chettinad sambar, brinjal and drumstick also can be added to enrich the taste of sambar. The Mango enjoys the unique status among the fruits. Summer is here and so are the tasty and delicious mangoes. Considered the ‘king of the fruits,’ known as king of Asiatic fruits. Mangoes are loved by people of all ages and are eaten fresh more than any other fruit in the world. The sweet and aromatic taste of mangoes can refresh the mind and make you feel happy.Mango is used in ripe and unripened conditions both are well known for its medical properties. Mangoes are one of the richest sources of vitamins A,B, C and E, as well as minerals including potassium, magnesium, copper, calcium and phosphorus. They are also packed with pre-biotic dietary fiber and poly-phenolic flavonoid antioxidant compounds.Mango helps in throwing away all waste products from the body. We know excess of anything is not good for health,so avoid eating raw mangoes in excess.It may cause throat irritation,indigestion,dysentery.Drink water immediately after eating raw mangoes. 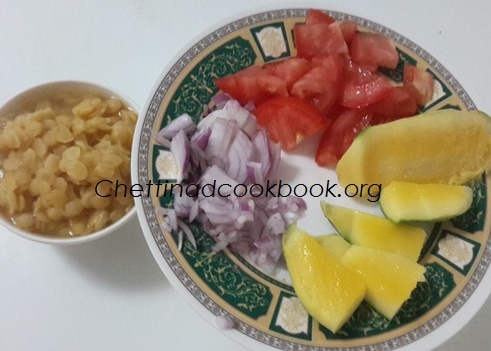 1.Boil-Toor dal for 3 whistles, cut Mango, onion and tomato. 2.Add mango,onion,turmeric powder and tomato in the cooked dal cook for one more whistle or until vegetables gets soft cooked. 3.When the steam releases add a cup of water, salt,sambar masala powder and tamarind extract allow it to boil for few minutes. 4.Heat another pan and season with mustard and cumin seeds, sprinkle hing and add finely chopped shallots and curry leaves saute until the onion gets golden yellow,gives you fantastic aroma. 5.Drop the seasoned ingredients to the boiling sambar, add red chilli and methi roasted powder . 6. 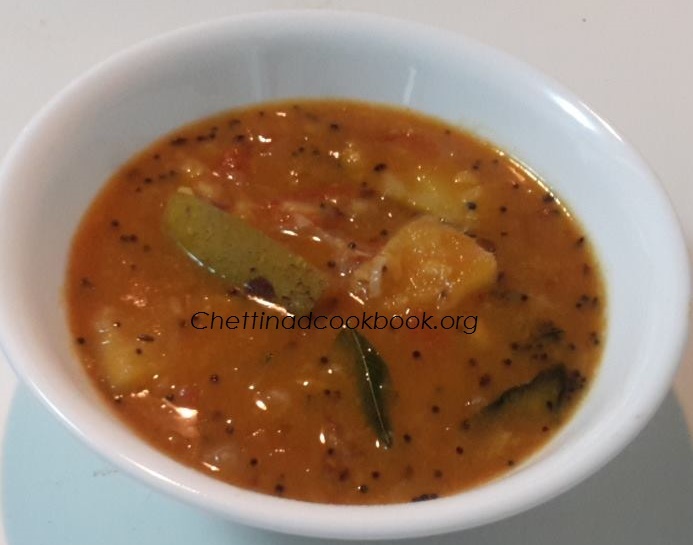 Mango sambar is now ready to enjoy with plain rice and papad.